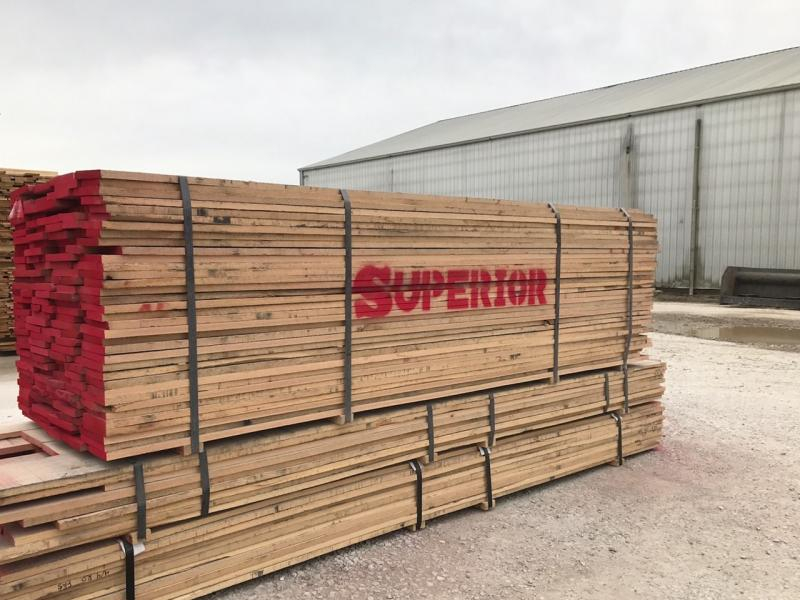 Superior Hardwoods is one of the one of the largest sawmills in Indiana. This facility utilizes some of the latest innovations in lumber sorting and grading technology to ensure that our clients receive consistent quality hardwood. In 2017, Superior Hardwoods became a location of Baillie Lumber Co. This sawmill facility is located in West Central Indiana and is vertically aligned to control lumber quality from timber procurement to lumber delivery. Our computerized 55-bay laser sorter and tally systems, coupled with our experienced staff of NHLA (National Hardwood Lumber Association) certified inspectors, provide strict quality controls load after load. Poplar and Red Oak are two of the primary species produced at Superior. Others species provided include Ash, Basswood, Cherry, Hickory, Hard Maple, Soft Maple, White Oak and Walnut.